Cameras are tools. Use the right tool for the intended result. 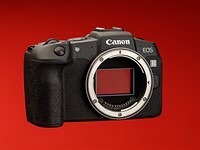 Re: D800 vs EM5 Image Comparison: proves what exactly? Re: New EM5 version, even closer! Re: The Nikon as great colors. 25 Is Olympus IBIS good enough to leave ON with a tripod? 17 Anyone regretting purchasing g9? 13 Best prime lens for landscape / astro? 11 Olympus firmware upgrade - worth doing?